Carpet should be vacuumed at least once a week with a good suction vacuum cleaner. If you have a loop pile carpet, it is important that you only use suction and NOT the rotary head of your vacuum. The rotary head brushes may cause the carpet fibres to "fluff". We recommend that you regularly spot clean your carpet. 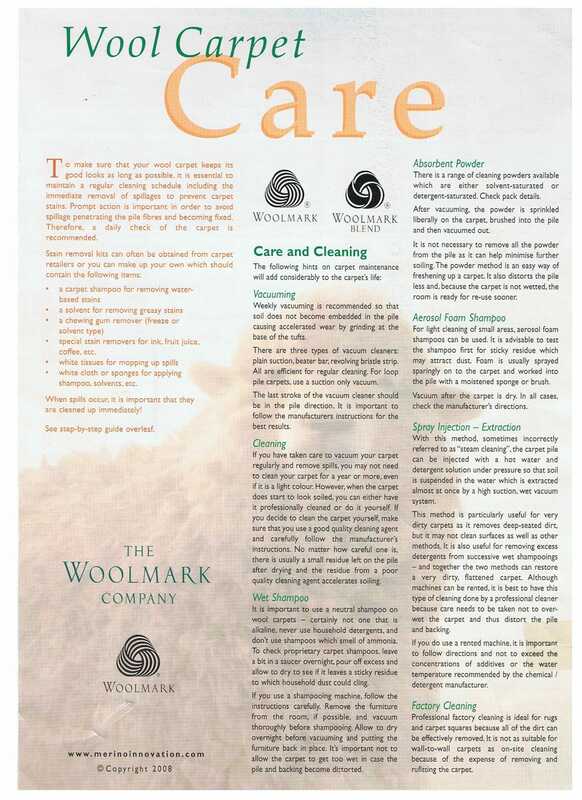 The Wool Board Guide is attached and is very easy to follow. Most of the cleaning products mentioned you will already have in your kitchen. 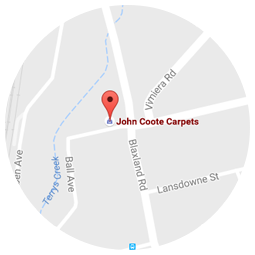 The manufacturer of your carpet will also provide a cleaning guide, either online or we may have a hard copy. 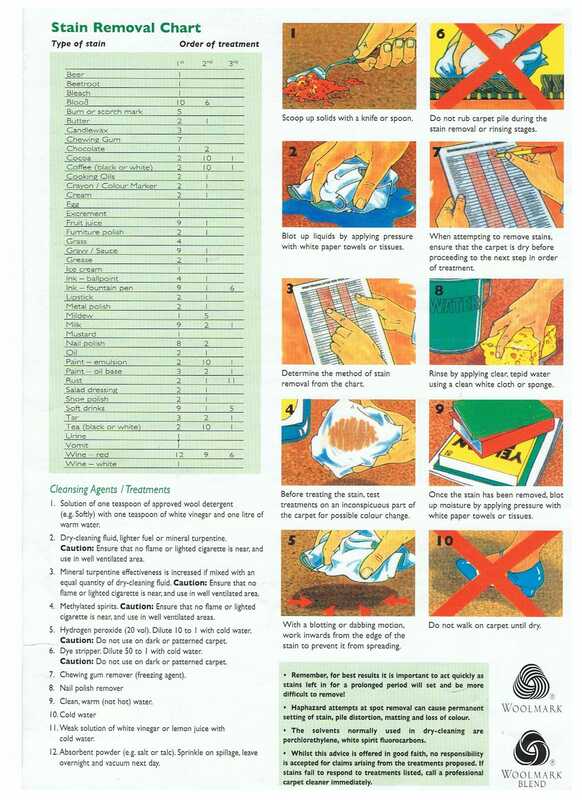 If you have followed this guide, or followed the guide in your Warranty Handbook, and had no success in removing a stain we do have an exceptional cleaning product in our store that you can purchase called "Sheer Magic". As a general rule you should consider given your carpet a professional clean every 18 months (if it really needs it). We can recommend some professional cleaning companies. Place colour-fast dirt trapping mats at all external entrances. These will help to keep dirt and grit off your floor as well as absorbing any excess moisture. Use high density felt floor protectors on the underside of all moving furniture or furniture that may be moved from time to time to help prevent premature wear and scratches. Install protector vinyl floor mats under office chairs or chairs with castors. Vacuum (bristles down) or sweep your floor regularly to remove grit that might scratch the surface of your floor. Any spills should be wiped off the surface of the floor as soon as they occur. Do not use abrasive cleaners, steel wool, or scouring powder on your plan and never wax or polish your floor. Never use a steam mop on your floor. Stay away from detergent based supermarket cleaners that may leave a dull film on your floor. Natural products e.g. a capful of methylated spirits or vinegar mixed with hot water and wiped over with a slightly damp mop is all you need.